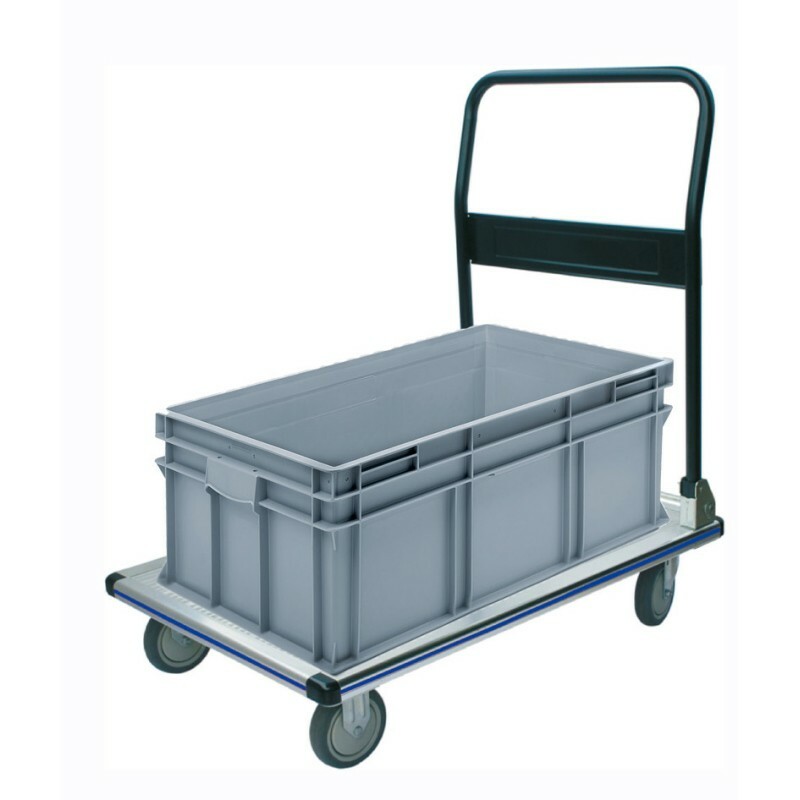 This is one of our most popular hand trucks and is ideal for use at events, in warehouses, offices and around the house. 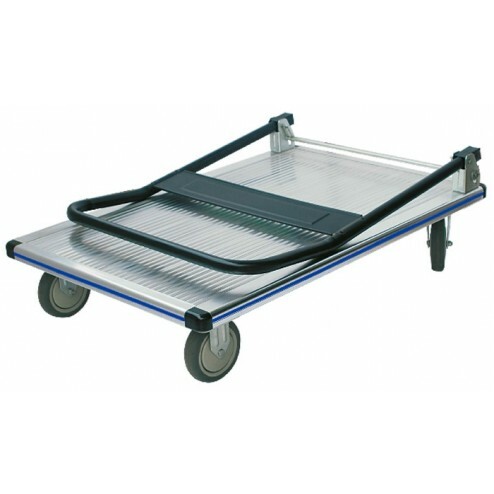 With a large 300kg loading capacity platform it is able to meet the demands of carrying heavy goods. With a sturdy rust-proof aluminium construction and 5" rubber wheels, our large platform hand truck handles the everyday rigours of busy environments with ease. 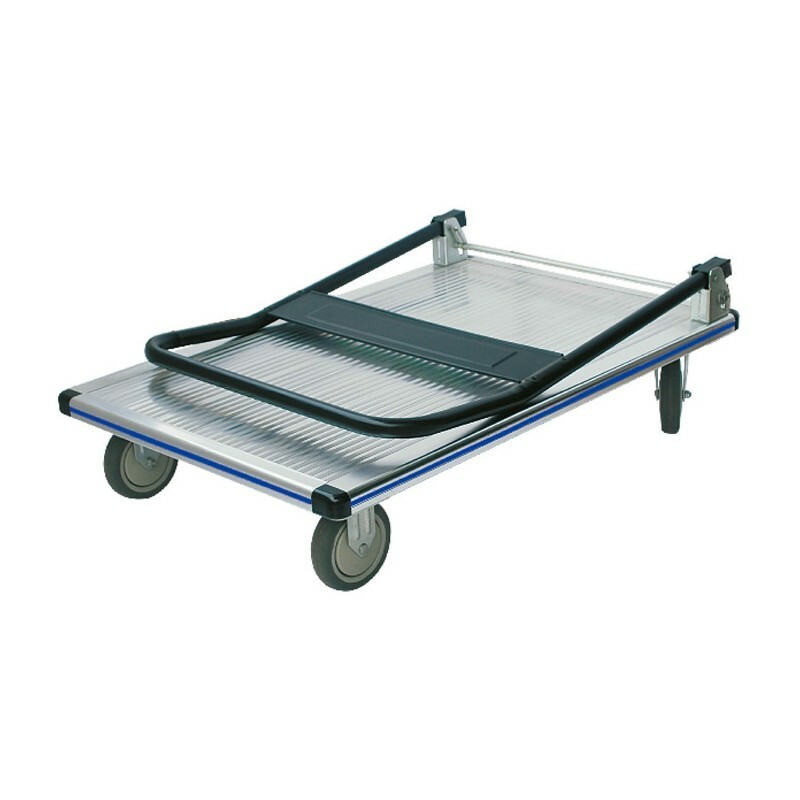 The folding handle makes storage and transporting of the platform trolley easy and maneuvering is hassle free. It also has rubber deck and bumpers so it resists getting damaged when bumping into objects.